If you are considering attending a Christian college, you may wonder if Christian colleges have the same accreditation process as public college. In other words, you may be asking if Christian schools have to pass the same rigorous examination that secular universities and colleges do. First, it is important to understand that accreditation is entirely voluntary. The Department of Education will not revoke a school’s standing if they are not accredited. Accreditation is a process through which peers review an institution to ensure it is meeting standards that are recognized as a watermark of excellence. Accreditation can be for an entire university, or for a college or program within the institution. Usually, schools must apply for accreditation and then submit required information about their missions, their finances, their course structures and their student policies among other things. Once the information is reviewed, the accrediting commission usually performs an on-site visit. If a school is referred to as “Applicant Status,” it means that the process has not been finished. Candidate Status means that the school is waiting for the accrediting organization’s decision and those who have passed the process successfully are deemed “Fully Accredited.” The Department of Education does not accredit colleges and universities. It does, however, recognize certain accrediting organizations. The best accreditation for secular schools is regional, and there are five recognized regions: Middle States, Northeastern Association, North Central Association, Southern Association and the Western Association. What Accrediting Institutions Does the Department of Education recognize? The main accrediting organization, according to the Department of Education website, is the Higher Learning Commission in all its regional divisions. There is also the Accrediting Commission of career Schools and Colleges, the Accrediting Council for Continuing Education and Training, and the Accrediting Council for Independent Colleges and Schools, among other secular organizations. It also recognizes at least two religious organizations, the Traditional Association of Christian Colleges and Schools, Accreditation Commission and the Transnational Association of Christian Colleges and Schools. 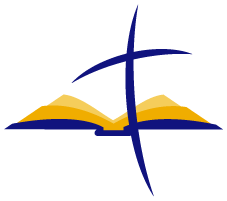 Are There Other Christian Accrediting Organizations? Many religious denominations accredit their own schools. There are, however, some independent accrediting organizations like the Association of Independent Christian Colleges and Seminaries and the International Association for Christian Educational Accountability, that are recognized as accepted accrediting vehicles by most Christian schools. The reason many Christian schools choose not to become accredited is that they offer an education that is more focused on values and, in the case of seminaries, on doctrine. Those are areas in which secular accreditation would not provide adequate direction. In addition, The IACEA website cites the high cost of accreditation through secular avenues as one reason many Christian schools choose not to follow that path. For those schools choosing to accredit through one of the major Christian organizations, however, the process will be similar to secular accreditation. Christian schools that choose not to be accredited create problems for the student. A school that is not accredited by the Department of Education doesn’t qualify for federal student aid. In addition, employers look for degrees from accredited schools. Savvy hirers will recognize the major Christian accrediting councils as being on the same level as the secular ones. Christian colleges have the same accreditation process as public college, but they may be accredited by different organizations.